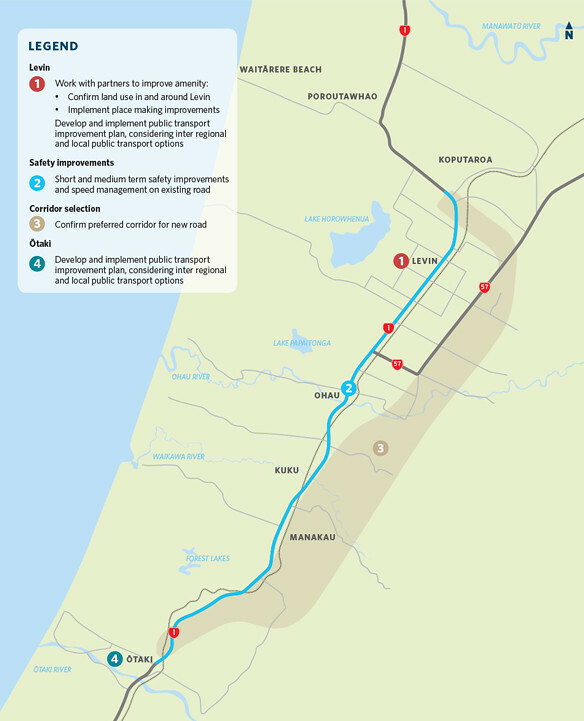 The Ōtaki to north of Levin project is the northernmost section of the Wellington Northern Corridor and will improve the safety and resilience of the transport network connecting Ōtaki and Levin, while also ensuring value for money and reduced emissions. The NZ Transport Agency is investigating a new state highway which will help reduce the safety and resilience problems associated with sections of State Highway 1 (SH1) and State Highway 57 (SH57). This project is part of the Wellington Northern Corridor and would tie in with the yet to be completed Kāpiti Expressway, extending to just north of Levin, including a bypass of Levin Town Centre. State Highway 1 from Ōtaki to north of Levin (O2NL) has a very high crash rate and in some locations has no alternative route. It provides access for local traffic, inter regional commuters and freight, and agricultural vehicles. 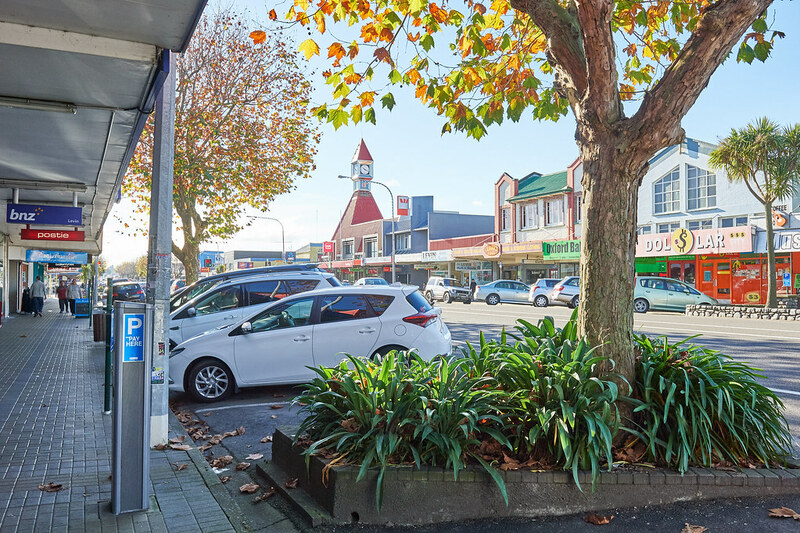 The Horowhenua District Council (HDC) Growth Strategy identifies O2NL as having a large influence on the scale and location of future growth of the Region and on the Levin Town Centre Re-development. To achieve the predicted growth, HDC has provided increased zoning provisions in their District Plan. In order to enable and support this growth, significant transport infrastructure is required. The O2NL project will enable the local network to provide access to new growth areas and enable development. A preferred new road route has been selected and will play a critical role in increasing safety of the network and enable greater network resilience on State Highway 1. When we engaged with the community in early 2018 we let people know we’d need to take into account the new Government’s transport system priorities as set out in the Government Policy Statement for Land Transport (GPS)(external link). To ensure alignment with these priorities, a re-evaluation of the project was carried out, and we announced the outcome of this re-evaluation in October 2018. 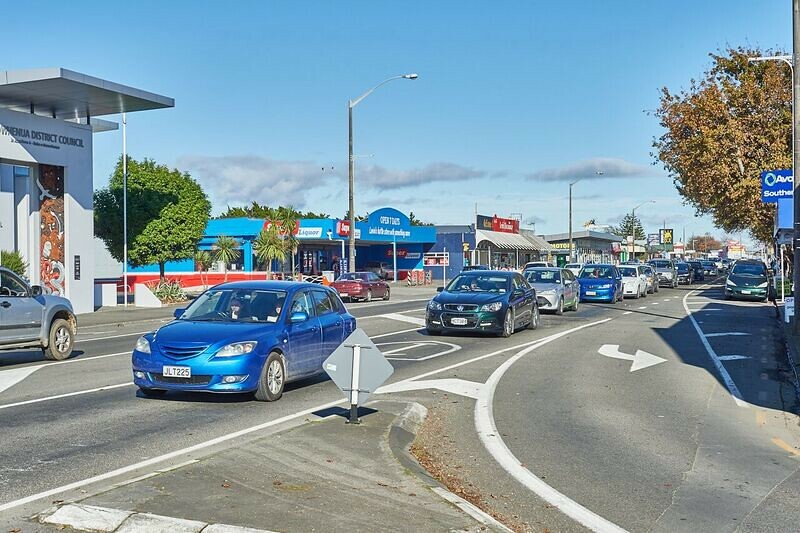 Following re-evaluation, the re-focused plans include delivering short and medium term safety improvements, designating for a new route which will have allowance for four lanes in the future, and working to enhance public transport options and improve amenity within Levin. The construction timing and form of this new route will depend on growth and funding priorities across the rest of the country. We have now selected the preferred corridor for O2NL. This is the shortlisted option that runs closest to SH1 in the south and alongside SH57 in the north. It is a combination of the shortlisted options known as S6 and N4, and it received support during community engagement. Following questions raised by the community during that engagement, we carried out additional ecological, heritage, social, noise, and vibration assessments. These have helped shape our way forward. Subject to funding approval, we will be working with property owners, the community and other stakeholders through 2019 and early 2020 as we further investigate and progress design of the road, within the preferred corridor. Work is also continuing on short and medium term safety improvements. These will initially focus on speed management, road marking, signs, and enforcement. Improved public transport for the region will also be investigated, which could include rail connections, park and ride facilities, and bus service improvements. 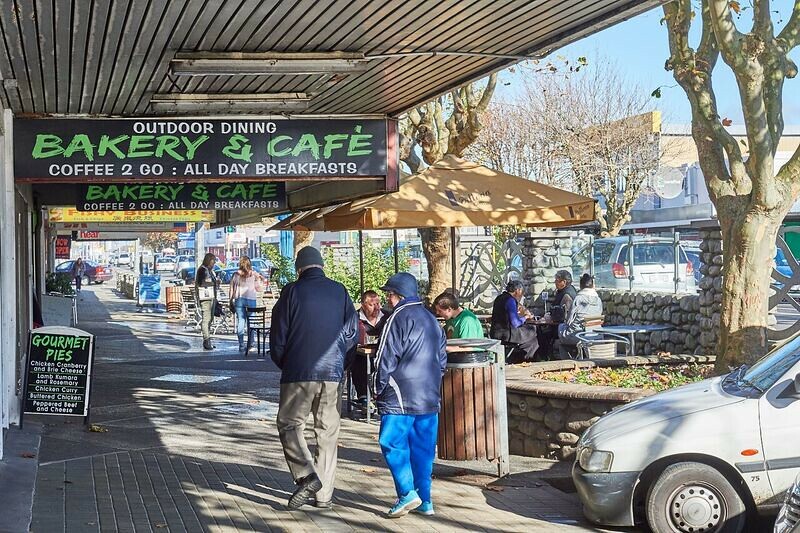 We are working closely with local councils in the Horowhenua and Kāpiti districts and are engaging closely with iwi, key stakeholders and community groups. In June 2017, we sought the community’s view on the values, interests, issues and constraints associated with the Ōtaki to north of Levin project. The results of the community engagement were used to help develop corridor options for the project. Between January and mid-March 2018, we provided our project partners, stakeholders and local community with an opportunity to review a shortlist of options and contribute to the selection of a preferred corridor for the O2NL project. Nearly 1400 people visited our pop-up shop, and more attended information sessions and community meetings. We also met with over 300 property owners in the area. We heard that, in principle, the community supports the O2NL project and recognises something needs to be done to improve the safety and resilience on the stretch of SH1 and SH57 between Ōtaki and north of Levin. The preferred corridor is a combination of two options that received support during community engagement, and takes into account (among a number of other factors) questions raised by the community regarding ecological, heritage, social, noise and vibration impacts. In December 2018, we came back to the community with the preferred corridor, and spoke with all property owners that were potentially affected by the range of shortlisted corridor options to inform them of the preferred corridor. We will continue to work with these property owners and the wider community to further investigate and progress design of the road, within the preferred corridor. Over the past three years we have developed staged plans to improve the state highway network north of Wellington. We have delivered safety improvements in Ōhau and Manakau. Initial monitoring of these improvements indicates the vast majority of traffic is now travelling at a speed more suitable for the area. Work on the Wellington Northern Corridor is progressing and by 2020 an expressway will extend from Wellington to Ōtaki. To the north of Levin the replacement of the Whirokino Trestle and Manawatū River Bridge is expected to be complete by 2019 opening up this route to all High Productivity Motor Vehicles, which will increase freight traffic (trucks) on this route.